In this season of stew everywhere, let's see how to make the perfect spicy sauce for gizzards. 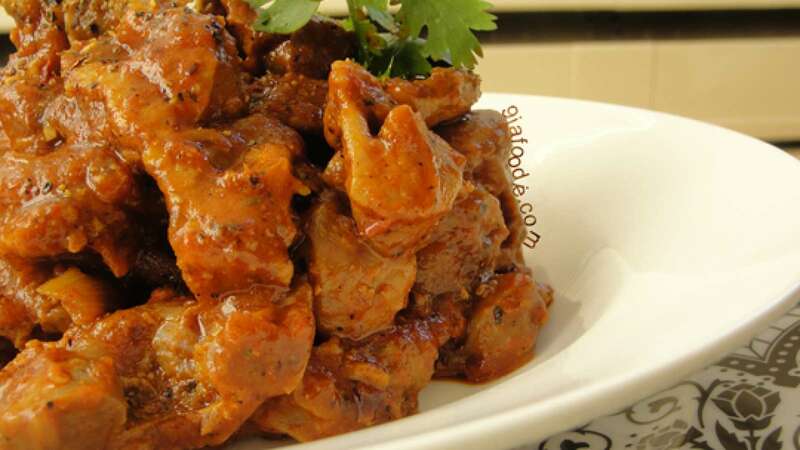 Apart from Gizdodo, you can also prepare a simple gizzard stew from the versatile meat. 1. Wash the gizzards and place in a pot of half a cup of water. Season with 1 cube of seasoning and salt. 2. Leave on low heat for about 25 minutes. 3. Blend the peppers and tomatoes together. 4. Heat another pot and put the oil. Add the blended mixture and leave to simmer for about 10-15 minutes. 5. Remove the gizzard from heat and discard excess fluid. Add the gizzard into the pepper sauce and combine. 6. Add in remaining seasoning, cover and leave to simmer for another 12 minutes. Your gizzard is ready! Serve as appetiser or side dish for main.